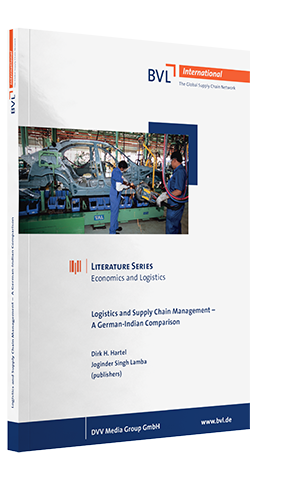 "In January 2018, the book “Logistics and Supply Chain Management - A German-Indian Comparison”, edited by Prof. Dirk H. Hartel, DHBW Stuttgart, and Prof. Joginder Singh Lamba, K.J. Somaiya Institute of Management Studies and Research Mumbai, will feature in the BVL series Wirtschaft und Logistik [Economics and Logistics]. The authors describe the status quo of logistics, transport and supply chain management against the backdrop of geographical, demographic and macroeconomic conditions. The conclusion: India is a highly attractive business location. The book is a reference work that can also serve as a guide for all those wanting to do business in India. Special price for BVL members: EUR 31,20 incl. VAT, please indicate the BVL member number in the comments field when ordering."